The following is a story about a small business owner who chose his clients over fame. By adopting his attitude, you’ll find relief and certitude in your professional journey (and maybe even more happiness in your life). 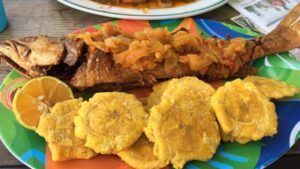 About 6 months ago, my friend France told me about a guy named Danny who was cooking fried fish in the heart of Curundu, one of the worst neighborhoods in Panama City. To get there we drove through some very derelict blocks where police stood on the corners and stray dogs roamed like no mans land. Danny’s restaurant — which he calls Peach Fuzz PTY for some very strange reason — wasn’t much to look at — a simple garage-looking room on the side of an intersection. But it quickly became my favorite restaurant in Panama. The fried fish was perfectly seasoned, crispy, and moist. Danny topped it with a Jamaican style escovitch sauce of pickled onions and peppers. It really was the best fried fish I had ever eaten. And so I began to go every weekend and tell my friends about Danny’s fish. I felt honored to become one of Danny’s raving fans. And eventually, my friends began telling their friends and Danny started to see groups of foodies lining up to eat his fish. 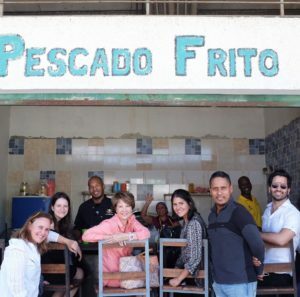 In fact, it was just a month ago that I saw the following photo published on Instagram, a group of Panama’s most influential food bloggers — visibly enamored with the fried fish experience. Everything culminated last week when Danny was contacted by the Travel Channel, saying he’d been chosen to be featured as a world food heritage site. It would make Danny an international fish star! 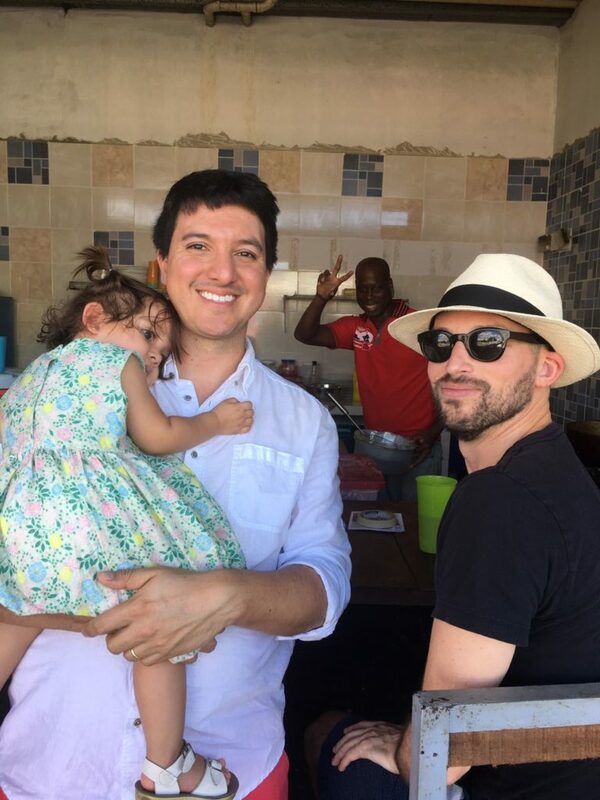 I went with my friend Andres (and his daughter Martina) to celebrate with Danny (and eat fried fish of course). That’s Danny in the background doing his thing. 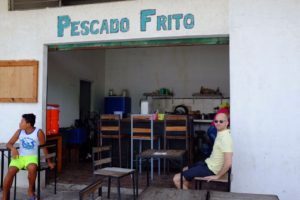 But upon arriving with Andres and Martina, we received the bad news: the Travel Channel had called back and decided to use a different fried fish lady — one who had been around for a little longer and had a better following. What a bummer — it could have been Danny’s big break. I asked Danny if he was upset and he said no, that fame nor fortune were of great importance to him. Danny explained that he didn’t care how many people were eating, as long as he could retain a 100% record of client infatuation. Do this and no matter how big or small your business is, it will grow. Do this, Danny says, and you will also be happy. Most small businesses offer limited edition products: sell all your cupcakes, handwoven shawls, vacation rental nights and that’s it…all gone! To build a truly organic wave of success, use that limited supply to your advantage — focus less on the quantity of sales, and more on quality of experience of each client. 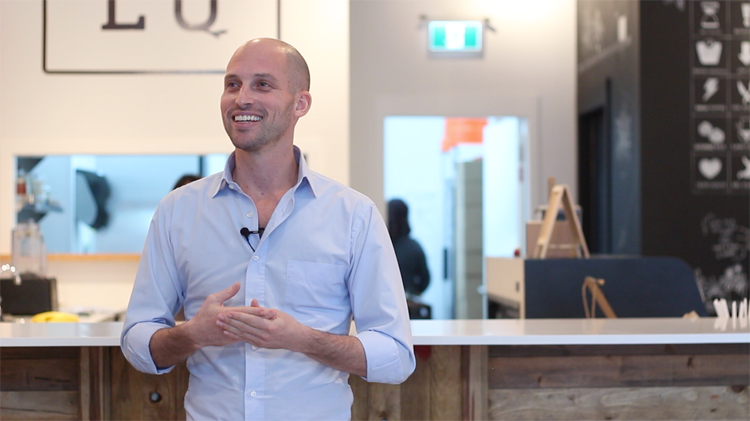 (This is the epitome of 90 Seconds of Powerful Advice.) Worry less about scaling and more about each potential client getting white glove treatment. Idolize big press opportunities less and embrace your raving fans more to build a sustainable business that is fully in your control.